We would like to invite our families to join us on the 21st March at 2:30 pm (in the courtyard, weather permitting) to celebrate Harmony Day. All welcome! Welcome back to all of our families. It was amazing to see how all of the children grew over the holidays. It was so wonderful to watch their excited faces as they walked into the class and went about selecting their favourite piece of work. You could tell from their happy expressions as they worked, that they had missed being at school, as we had missed them. The children in the Nido class as well as the rest of the school are always learning new words and expanding their vocabularies. One of the methods we use to do this is called a 3 period lesson. In this lesson, the teacher isolates a few new words or concepts that she wants the child to learn. This varies depending on the age and abilities of the child but in the Nido class it is usually 2 or 3 new words/concepts at a time. The first period is the introduction or naming period. During this part of the lesson we point to an object or picture and simply state what it is and ask the child to repeat what they have heard. It is good to repeat the words a few times so you can be sure they absorbed the new vocabulary / concept. The second period of the lesson relates to recognition and association. This is usually the fun part of the lesson. You can ask the child to 'Show me the triangle; Put the triangle on your lap; Put the triangle on your head, Try balance the triangle on your hand etc.' If the child picks up the incorrect item, then the teacher needs to go back to the first period. The first and second period need to be repeated a few times before moving onto the third period. The third period relates to recall. In this part of the lesson, we ask the child to name the object. For example, whilst pointing to the triangle, you ask the child 'What is this?' As adults we are often in a rush to move onto the third period. We must be patient and only do it when we feel the child will succeed and the information is in their long term memory. If we do this part of the lesson too soon, it puts the teacher in a position of correcting the child which can have a negative impact on the child's self-esteem. If the child does make a mistake, the teacher needs to go back to the first and second period. This method is very useful for parents at home and can be applied to anything you want your child to learn, for instance, learning body parts, colours, shapes, types of animals etc. Every time your child masters a new concept or skill, their desire to learn more increases. It has been a very busy month for our IB students with Year 12 completing their final examinations, our High Tea Ceremony, the DP Graduation Dinner and our Try IB DP Transition Day. I would firstly like to say a big congratulations to the following Year 12 students who have now finished their Diploma Programme with us here at Elonera Montessori School; Gabrielle Ayoub, Lillian Douglas-Borkman, Lara Henderson, Jack Hopkins, Viliame Rabuatoka, Adrian Smark, Maira Sykes and Edan Woodward. On behalf of all of your IB teachers I wish you all the very best for your final results that are released in early January. 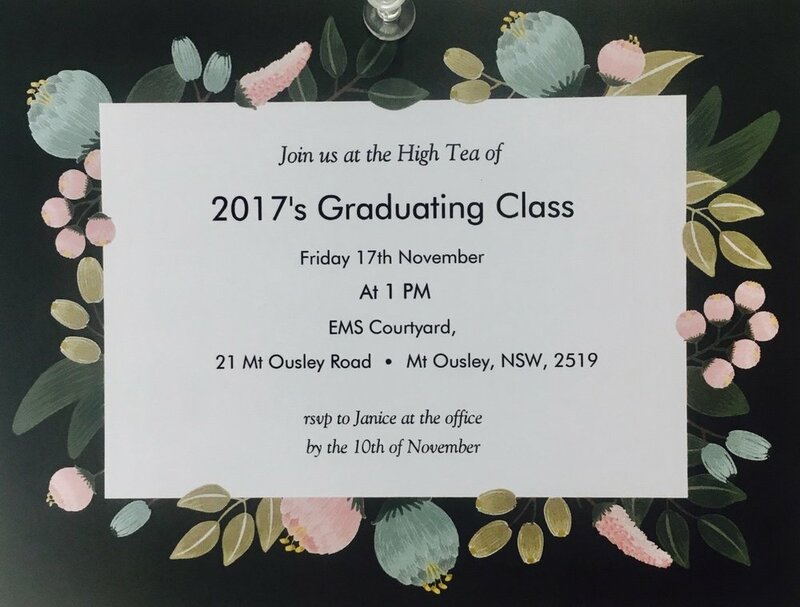 This achievement was celebrated in the IB Suite on Friday 17th November for the 2017 Graduating Class High Tea, a momentous festivity hosted by our Year 10 students from the High School. We would like to thank Jacqui Sykes for once again making the beautiful bears that were given to our graduating students, Alex Ioannou for coordinating the event, her kind hearted speech brought many to tears, Holly Wilson for speaking on behalf of Year 11 and to Year 10 students for catering, decorating and hosting the afternoon. Without such a caring school community these events would not be possible. On Saturday 18th November 64 parents, teachers, students and guests attended the Elonera Montessori School DP Graduation Dinner, which took place at North Wollongong Surf Club from 6.00pm. Year 12 students Maira Sykes and Gabrielle Ayoub organised the evening, their hard work and perseverance is to be commended. Maira was also the MC for the evening and speeches were given by Chris Peach, Benedicte Henry, Jordan on Behalf of Elizabeth Goor, Jack Hopkins and myself. Last Monday 20th November we had our Try IB DP transition Day for Year 10 students who will begin their Diploma Programme next year. The day began with a warm welcome and overview of the IB followed by an ab initio French lesson where Benedicte Henry taught our prospective students how to make crepes and read a recipe in French before playing an outdoor game of petanque. Carlos Hubbard then ran a Group 4 lesson in the Sciences covering what it takes to falsify a theory, the lesson was based around evidence for evolution. Students then did a collaborative creative thinking project that was followed by Jack Hopkins discussing his Theory of Knowledge presentation and Viliame Rabuatoka talking about CAS and his Extended Essay experiences. Students were introduced to IB Approaches to Learning where they undertook critical thinking activities and workshops, actively demonstrating thinking, communication and social skills. We look forward to having these students join us in the IB suite in 2018 and thank them all for their valuable contributions on the transition day. The team researched wasting water in the shower, and their proposed solution was an ‘Awesome Shower Water Recycling System’ or Awesome SWRS for short. The team also did very well in the robot game coming in 9th overall. They displayed their ‘Gracious Professionalism’ when the robot didn’t quite behave as expected, and it was wonderful to see the team proactively come together and make last minute adjustments to the robot during their afternoon break. We would love to see more kids participate next year! 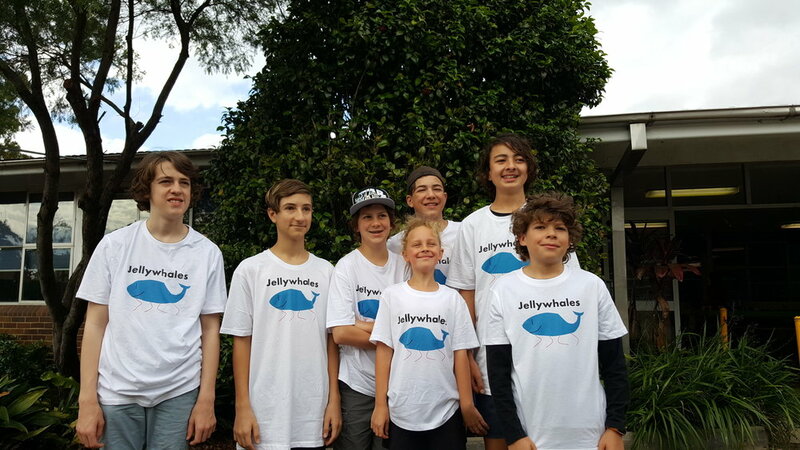 EMS robotics team Jellywhales competed in the Caringbah regional FLL tournament on Friday. They confidently presented the judges their research project, core values challenge and robot design. On the robot mission table they successfully completed several Hydro Dynamics missions, just missing out on the top score by 5 points. 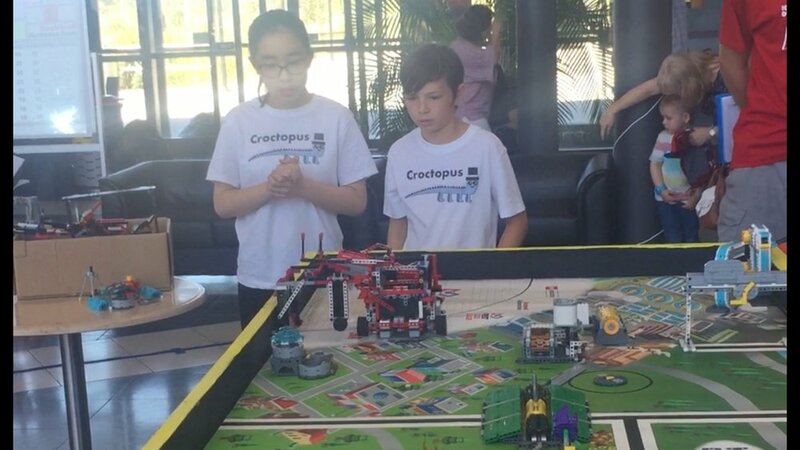 It was a fun day representing EMS in the FIRST Robotics community and we wish team Croctopus top luck this weekend in the Wollongong regional. A special thanks to Susan from Bright Star Kids for the incredible t-shirts with our custom logo and names. Year 12 students finished their exams last Friday morning. Year 10 organised this event and a good deal of style and attention to detail went into the celebration. We wish our IB graduates all the best in their future studies. Elonera celebrated Grandparent's Day on Thursday, 9th November. A number of grandparents joined us for afternoon tea and tours of their grandchilren's classrooms. It is always such a pleasure to have this generation visit...there is an added calm and easiness which is reassuring. A special thanks to all the High Schoolers who helped with the catering, particularly Jack and Hope who made tea and coffee for so many of our visitors across the school. To our setting up, washing up and clean-up groups, a sincere thanks for all that you contributed to making the afternoon run smoothly. While visiting Rome this year we thought we'd try to find the first Montessori school established by Maria Montessori in 1907. With address in hand we went walking around San Lorenzo in the hopes we would find it. It wasn't at all easy, and making many wrong turns, as you can imagine the street signs are hardly visible and long faded with no numbers anywhere in sight. Just before throwing the towel in we asked a lady who pointed us in the right direction, finally we had arrived at this very discreet building that if it wasn't for a small sign we probably would have walked right past. We walked inside a huge wooden door that gave way to a small corridor which then led to a beautiful courtyard, you could already imagine children playing here. We noticed an elderly man walking in with his shopping bags, we asked him where the school was? He showed us the entrance and added, "My daughter went to school here 30 years ago!" We met a teacher while she was giving a lesson, the children were inquisitive to know who these unexpected strangers were. The teacher told us everything is just as it was in the early days. There are 2 classrooms with about 20 children in each classroom. They have a vegetable garden and when the veggies are ripe they make a shared lunch together. The building itself is very simple and the classrooms aren't big or very fancy but it felt like a very happy place, with the children working independently and looking after each other and their environment. What an unforgettable experience, even with our sore legs! We have test started the oven..all working well and ready for the first cook-up. Mosaicing continues with all students expected to contribute in even a small part (after a great deal of discussion around the design). It was delightful to have our Year 6 transitioning students join us. They joined in on lessons with Stage 4 (Year 7 and 8) and contributed strongly to Occupations. Positive and willing, they were very welcome and look forward to haven them full tim next year..
All families are invited to save the date of the High School end of year showcase on Thursday 23rd November between 9 and 11 am. Students will be showcasing their work across a range of different areas and we would love to have you (families of all stages and areas of the school) there in our audience. Feel free to stay for the whole or part of a session or just pop in for a cuppa. Despite the looming end of year celebrations, students are continuing to push forward in their learning. Students are preparing for showcases with a number of opportunities to hone public speaking skills in presentations and debating. Road safety, the Freedom Rides and stencil art are also being studied. Feminist philosophy has been our focus in Stage 5 with students also preparing a written response which presents a philosophical reading of a non-philosophcal text. A number of students are exploring imaginative texts writing some insightful pieces many in response to our thematic study on Home, Memories and Belonging. We hope to share these with you in future newsletters or at showcase. A reminder to Year 10 students to submit their documentation if they hope to be involved in our work experience program this year. All documentation must be finalised this week if students are to take part. If not, the expectation is that students will remain at school for the week. One of the key elements in any Montessori class is to encourage our children to be independent and to do things for themselves. The Nido class is no different. We encourage them to do as many things for themselves as possible. This includes things like putting on and taking off their own socks and shoes; learning how to wash their hands; learning how to use and manage going to the toilet; putting on their own sunblock etc. There are a number of elements in the class that aid them to do things for themselves. Simple things like having low shelves that are at eye level for the children enable them to select their own piece of meaningful work. There are also steps for the children to stand on to be able to reach the taps and toilets easily. The mirrors are at the children’s height to enable them to look at themselves whilst applying their sunscreen. During morning tea time the children help set the table and are responsible for emptying their scraps in the bucket for the chickens, and then washing their own plate and glass. Likewise, if they select a practical life activity such as peeling a carrot, they wash up after themselves and place it back on the shelf ready for the next person. This not only encourages independence but also consideration of the other children in the class. With all these activities the adults in the environment need to consistently allow the children time to do the activity. Children require repetition to learn so the adults should only step in and help the child if it is really needed. The result will not be the same as the adult’s standards, but the learning experience for the child is far more important than the end result. Parents at home are encouraged to look for ways to allow their child to be independent and do things for themselves. Simple things like rearranging a few of your kitchen cupboards with plastic bowls and cereals low down will encourage your child to make and prepare their own breakfast. They can also help around dinner time by helping set the table and even some of the cooking like smashing the garlic in a pestle and mortar. Allowing them to use the vacuum, wipe the counters and mop the floor also helps lead them to independence. Sorting the laundry not only helps encourage independence but also improves their sorting and classification skills. All of these things help foster a positive self-image and a sense of achievement. In Stage 2, we have been discussing the importance of maintaining a healthy body through a nutritious diet, exercise, plenty of rest and sleep. We practice quiet mediation/mindfulness and relaxation with the students on a regular basis. We would like to remind and encourage all parents of the importance of consistent routines at home to ensure each student is well rested for their school days. It is extremely important for all children to have a nutritious diet and lunch boxes at school to ensure their energy levels can be maintained throughout the day. Please refer to the Parent Handbook on page 27 for a list of healthy snack and lunch ideas. This term, the students have been discussing the EMS ‘Charter of Respect’, addressing the importance for each student to understand their role and responsibility as a member of our school and class. At the beginning of each year the students and teachers read over and sign the ‘Charter of Respect’ together. This document is also given out to families at the beginning of their enrolment. It is paramount that all parents to read the ‘Charter of Respect’ together with their child to ensure we continue to have positive relationships and consistency between the school and home environments. We have attached a copy of this for revision reading with your child. We have also been discussing and reminding the students to look at our ‘THINK’ Before You Speak poster in each class when dealing with social situations. T- Is it True, H- Is it Helpful, I- Is it Inspiring, N- Is it Necessary and K- Is it Kind. Another area we continue to work on with the students in Stage 2 is their independent skills and freedom within limits. We encourage the students to calmly enter their classroom space, greet their teachers and start to plan out their day. Over the three-hour work cycle the students have the freedom to move around their large classroom environment to complete work tasks. Students are given the freedom and opportunity to make their own choice about the order they complete these task and whether choosing to work with a partner for a particular job. However, if students forgot the classroom rules and the school’s ‘Charter of Respect’, then this freedom of choice will then be scaffold by the teacher to ensure the classroom is not disrupted and the student is supported to best suit their learning needs. We give the students natural consequences if they are unable to follow the classroom rules. Any true Montessori environment encourages children to move about freely and choose their own work within reasonable limits of appropriate behaviour. Please click on the link to read in more detail freedom within limits in a Montessori environment. ‘Elonera’ is an Aboriginal word that means, ‘a happy place for children’ and this is what we always aim for in our classes. In art and craft, the students have been involved in a variety of fun craft experiences including; mandala pictures, Halloween masks, acrostic poems and spider paintings. They have also been creating art that have an Aboriginal perspective and learning about Pablo Picasso, creating artworks based around his ideas. We have been busy practicing our performance dance for the end of year concert in Week 8. Our theme is ‘Elvis Presley’ this year and notes for what to wear on the day will go out soon. On Tuesday the 31st students enjoyed having the opportunity to dress up for Halloween in their favourite costume and were encouraged to write a description about their costume, developing writing skills. We would like to inform the families that swimming is now being held in Term 1, 2018 instead of this term. We will continue to practice our end of school performance for the remainder of this term. Stage 3 has been working since before the holidays to design, construct and build some new garden beds in the front area outside their classroom. This new space will be open to the whole school as a community garden. We have already had contributions from Elliot and Raymond from the high school in helping us mulch the surrounding areas, thanks guys, much appreciated. We started the process with a big delivery of wood to the front area, which we quickly moved so we could start construction of five separate 2.4m by 1.2m by 0.6m garden beds. The students could not hide their enthusiasm for the project, as they didn’t want to stop or take a break until the job was done. The construction started making five different beds with the hope to make enough space for the whole school to enjoy the space. The construction of the lower levels gave life to the children’s designs. Once the soil was delivered, the children were at it again. Discussing strategies to get the best production going from shovels and buckets to the wheel-borrow. Working as a great team, they worked non-stop until playtime and a lunch break. As these works were in play, other students were planning what we would grow, starting to germinate the seeds for planting. We have planted lettuce, spinach, carrots, strawberries, sunflowers, tomatoes, beetroots, zucchinis and herbs. With the planting finished and the garden beds full, we needed to put some mulch down for the highly anticipated foot traffic that these garden beds are likely experience. Over the break and first few weeks not much was happening we, made sure to water the beds every day. Currently we can see that the children’s hard work and great enthusiasm has paid off. We are looking forward to a crop of vegetable that we can share with the different Stages around the school before the end of term. This project has been a rewarding and difficult process for the Stage 3 children, it really showed how they value the practical life aspects and working with their hands to create things that will remain part of the school for many years to come. The children of Stage 3 feel like they have designed and constructed something that will be sustainable and continue to give to the school community. We are all looking forward to seeing what crops are going to sprout up over the next few weeks. Montessori took the idea that the human has a mathematical mind from the French philosopher Pascal. Maria Montessori said that a mathematical mind was “a sort of mind which is built up with exactity.” The mathematical mind tends to estimate, needs to quantify, to see identity, similarity, difference, and patterns, to make order and sequence and to control error. Although preschool students have had several years working with numbers and mathematical concepts, children do not immediately begin working with the math materials in the Montessori preschool environment. Instead, the child is indirectly prepared for later mathematical works through the Montessori Practical Life and Sensorial activities where she develops the fundamental abilities necessary for higher level mathematical concepts: discrimination, recognizing similarities and differences, constructing and comparing a pattern or series, finding relationships, and understanding terminology. These materials develop visual and muscular perception leading to an understanding of three dimensional size. The Pink Tower also prepares the child for maths; the largest cube would hold 1 litre and the smallest 1 millilitre. The Long Rods vary in length with height and width constant (2sq cm), the longest rod is one metre. The Binomial Cube provides preparation for algebra and the proof of (a+b)3. The faces are coloured: a square is red, b square is blue and ab is black. Large Number Rods introduce the child to fixed quantity and awareness of the sequence of numbers 1 to 10. Seguin Board teaches quantities 1-19 and symbols 11-19 and combinations of quantity and symbol. The Golden Bead Material teaches the names of quantities and gives the child an understanding of the decimal system. Addition Strip Board furthers the child’s experience in addition and reinforces number bonds. Some of the Sensorial Material is mathematical material. It is presented with exactness and will be used by the child with exactness. The activities call for precision so that the child can come into contact with the isolated concepts and through repetition, draw from the study of each and have a clear abstraction. Sensorial work is a preparation for the study of sequence and progression. It helps the child build up spatial representations of quantities and to form images of their magnitudes such as the Pink Tower. Many of the Montessori Sensorial materials are based on the concept of 10, which helps children visualize and comprehend our decimal system. By understanding the decimal system and place value, the child is introduced to geometry: a point (Golden Bead) is a unit, a line (Golden Bead 10-bar) is 10, a plane or square (Golden Bead 100-square), and a cube (Golden Bead 1000-cube) is 1000. With this understanding, Montessori preschool/kindergarten students are able to add and multiply to form larger numbers and subtract and divide to make smaller quantities. Because they first experienced these concepts through their senses, Montessori students are able to understand the true nature of the operations. As many of you are aware our DP Coordinator Billie went on maternity leave at the end of Week 1 and we wish her all the very best with the arrival of her first baby in November. I would like to take this opportunity to thank Billie for all of the hard work that she has done to help prepare our Year 12 students for their upcoming examinations. I have taken on Billie's role as DP Coordinator for her 12 month maternity leave and am very excited to be back at Elonera working with such a wonderful group of students. It was very quiet for our Year 11 students Jackson and Holly in the IB suite last week with Year 12 out on study leave. The Year 12 IB students are now in the second week of their study block in preparation for their Diploma Programme November examinations which begin in Week 4. Some of the students have been back in the IB suite for intensive pre-exam study this week. We wish them all the very best in their upcoming examinations. 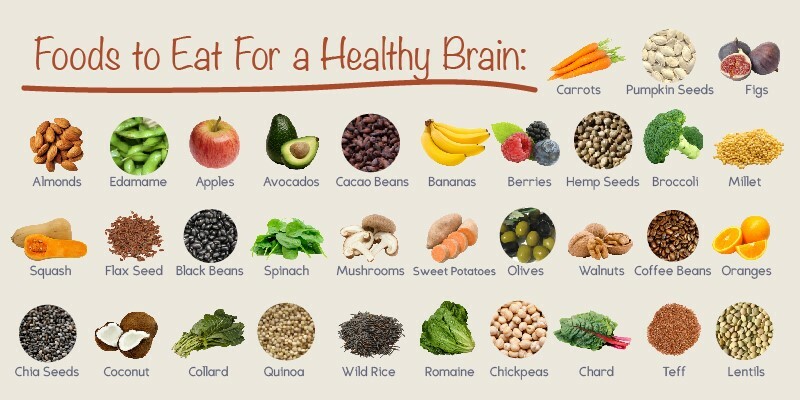 I do encourage parents to assist with preparing their children for future examinations and day to day schooling by promoting healthy eating habits. Small things like eating a nourishing breakfast, drinking plenty of water, sticking to study schedules and being balanced will really help with examination preparation. Our graduating DP students High Tea is currently being organized by Year 10 students in the High School. We look forward to this upcoming event that will be held on Friday 17th November at 1pm in the EMS courtyard. If you are interested in attending this exciting celebration please RSVP Janice at the office by November 10. We are delighted to announce the much- awaited construction of our pizza oven last Wednesday, October 11th! The oven was acquired as a donation from a local supplier by one of last year's Year 12 students, Luca Dragone, as part of his Creativity Activity and Service. Upon its arrival, the task of construction became quite daunting and it was truly the persistence of a small group of our Stage 5 students whose attention to process and detail has allowed it to happen. Many thanks to Matt and Eric Temple (one of our dads) who worked with the students in developing their bricklaying skills. A small team continues to be dedicated to the finishing touches with a mosaic project planned and the flue installation. Stay tuned for news of the first batch of pizzas. In response to "Meeting in the Middle", the coming together of practitioners in adolescent programs across Australia and New Zealand which we hosted in September, the High School team are excited to be implementing some dynamic changes to our timetable. Occupations and community work will enter our days on three afternoons, linked to curriculum and to the core tenets of a Montessori Adolescent program. This will strengthen the 3-hour morning work cycle and still allow opportunities for nurturing community and, of course, sharing in our Wednesday lunch and branching into aspects of service across the school. "Music/piano: Music is an art used to express emotions that words cannot communicate toward the other person. Music is a way of life for some people and has saved many others. I believe for us to have created something so beautiful and so fulfilling for other people and their lifestyles, that becomes the embodiment of 'dignity". That deserves our respect and oozes dignity". "My travel journal": For me this represents dignity in a few different ways, First off, I have written in this on several holidays. I can read back on out and see how I've developed over the years which allows me to feel dignified as I can see my progression. Also, this allows me to understand and appreciate how fortunate I've been to be able to travel and gain new experiences, which to me is a quality of dignity". Perhaps, next edition, there will be news from Marx and the Existentialists who inform our current area of study! We had a wonderful school holiday program this year with lots of new equipment and activities. We had new chalk boards and white boards installed to add to our outdoor area and the children have really enjoyed tapping into their creative drawing. These activities help to develop fine motor control, gross motor control as well as imagination. "Movement, or physical activity, is thus an essential factor in intellectual growth, which depends upon the impressions received from outside. Through movement we come in contact with external reality, and it is through these contacts that we eventually acquire even abstract ideas." - Maria Montessori, The Secret of Childhood. The children took advantage of the lovely weather and spent a lot of time in our outdoor environment, having morning tea outside was a lovely part of the routine. The children were very active with the parachute, hiding under it, running around it, singing lots of songs and looking at the colours. Nido also looked after the High School's chickens so thank you to all the children and staff for being caring friends. This term in week 5, Stage 2 participated in National Science Week. We began the week by giving the First Great Story, ‘The Creation of the Universe’ (also known as the BIG BANG). This story was presented to the students to give them a sense of “awe” and wonder about how the universe begun. The students were then involved in several science experiments and learnt about a variety of concepts. As an extension from this lesson and experiments the children enjoyed watching a documentary in half an hour segments. In week 7, Stage 2 enjoyed sharing their classroom with their dads and visitors during the Father’s Day morning tea on Friday the 1st of September. The children served their guests morning tea and then showed how they plan out their day to complete work throughout the Montessori curriculum. Thank you to the dads and visitors for coming along to this special experience. On August 31st, we celebrated the birthday of Maria Montessori. Dr. Montessori, the founder of the Montessori education system, was a key figure in the intellectual history of child development and education theory. In recognition of the achievements of Dr. Montessori, 2E and 2T did activities that integrated her into our classroom lessons. The children discussed Maria’s timeline and learnt more about who she was and how she created the Montessori method. The children created acrostic poems and coloured pictures of Maria Montessori. Each stage enjoyed helping bake cupcakes and decorating them. At the end of the day the school congregated together as a whole school for an afternoon ceremony. We listened to a biography of Dr Montessori’s life and enjoyed cake. In week 8, the students participated in the whole school ‘Fun Run’ which involved a variety of physical skills and activities. It was a really fun day that everyone enjoyed! This term the children have been busy practicing their dance moves for the end of year performance and working collaboratively together. We continue to discuss our classroom rules and guidelines within each class. At the end of each day we have a class meeting or group discussion about positive things we see in our class and any areas we need to work on. We have been looking at our “THINK Before You Speak” poster and encouraging the children to look at this throughout their day. T= Is it True, H= Is it Helpful, I= Is it Inspiring, N= Is it Necessary and K= Is it Kind. Each day we continue to encourage the students to be independent workers and thinkers in their classroom environment. Over the course of Book Week, we performed a number of activities to promote a love for reading. On each day of the week a different member of staff read a book to the whole school over the loud speaker. 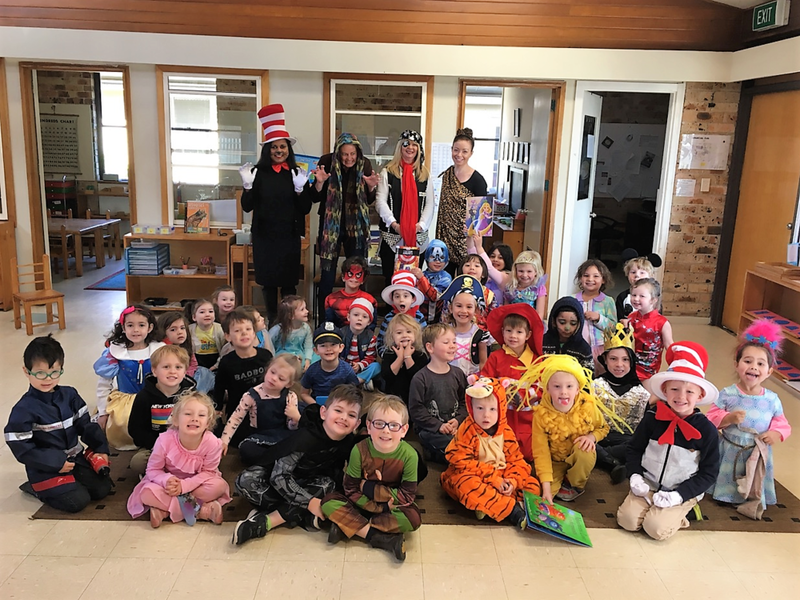 We had a dress up day where students were able to attend school dressed as their favourite characters from books they’ve read. It was wonderful to see a diverse range of interesting costumes, showcasing the individual interests of each student. Students also shared books from their personal collections with each other, allowing them to promote their own interests and benefit from exposure to new literature. Books are a wonderful medium for lively communication– they provide an impetus for debate while also helping us to gain a deeper understanding of the world. An important skill for uncovering the lessons and revealing the true value of any book is the art of critical evaluation. During book week students were given opportunities to write book reports on the books they had been reading. Children in Stage 2 have been working on projects to build their research skills. For the older students, this has been independent work, while for younger students this has been done with the support of the teaching staff in order to gently expose them to doing independent research projects and ready them for this type of work throughout their scholastic lives. Included is a picture demonstrating the excellent output some of our students have been able to achieve. In week 9, Stage 3 went on an Internal Camp based at school, with daytrips to the surrounding area. The aim of camp was to build a sense of community in Stage 3, to make and consolidate friendships, to build resilience and independence, and to have fun! By having a school-based camp we were able to overcome some fears of being away from home for this year’s young cohort, and showcase what we can gain from our local area. Our first day was a hike up Mount Kiera, with the goal of overcoming challenges and seeing what our local environment has to offer. It was a hard day of walking, and the students brought to it differing levels of experience and fitness. We ate our morning tea among the fauna and flora that makes the Illawarra a beautiful place to live. Knowing we had a lot of ground to cover we continued on the task of reaching the summit for lunch. For some it was quite difficult but everyone was very supportive and we persevered. Halfway into the hike, we connected with the Ring Track that would take us around the side of the mountain and up to Mount Keira lookout. Reaching the lookout we had a view that as one student described as “like a painting”, where we were happy to sit and absorb the views of our school and the amazing distance we had travelled. Michelle was our hero and met us at the top with icy refreshments! When we finally made it back to school we made tacos for dinner and it was great to see the older students take charge and delegate tasks to their peers. The second day was focused around service to the community. Up bright and early at 6am, we made batches of biscuits and sandwiches for donation to the Wesley Community Centre in Wollongong, which hosts a daily lunch for those in need. Despite the heat, our 60 sandwiches and biscuits made it there in time and were gratefully received, with the staff amazed that primary students had done such a wonderful job! After our own lunch, we headed to Puckey’s Estate, where we worked with Bushcare to plant out a site with native trees, shrubs and grasses to revegetate the coastline. It was a hot day and planting was hard work, but it was satisfying to see our plants in the ground, and Greg was great at answering our questions about local ecosystems. Afterwards we dipped our feet in the ocean to cool down, and headed back to school for a giant waterslide and some fun. Watermelon eating races and ‘food challenge relays’ were exciting for everyone and we had a big BBQ dinner, followed by a game of Sardines around the school grounds. Our final day was one for fun and relaxation. We made pancakes for breakfast and then packed up our camping areas before heading to Flip Out trampoline park for the morning. Again it was great to see everyone having fun and challenging themselves by trying new tricks and encouraging others (including the teachers!) to push themselves too. We walked back to school for a final lunch and a movie to relax before it was time to go home. Camp was a great success, with not much sleep but a lot of fun had by all. There was a lot of growth, with students overcoming challenges of physical endurance, tiredness, social interactions and heat. It was great to hear their reflections on being able to do things they didn’t think they could, and to see new friendships forming and concern and support for others flourishing. This term we have been busy participating in many interesting activities and celebrating important events. Children undertook an activity with Chloe, cutting cardboard and painting cars and wheels. Children enjoyed acting out road sense scenarios in the playground. We have introduced hockey again this term showing children how to ‘dribble’and pass the ball. Children have thoroughly enjoyed playing a hockey ‘game’ with two sides and goals. After brainstorming with the children and discussing their interests and what they wanted to learn about we settled on dinosaurs. In keeping with our dinosaur theme we presented a new activity to the class recently, searching for dinosaur bones. Children had to bury the bones with sand and use soft brushes to re-discover them. Book Week was fun, making bookmarks and front covers of their favourite stories. The children thoroughly enjoyed hearing stories from the principal Chris and office manager Janice. On Friday everyone took great joy dressing up and presenting to the class their favourite book. We made music groups with Benedict on Thursday, each group had a different instrument and Benedict was conducting the groups so they learnt to play their instrument when instructed and learnt the signal for “stop”playing when Benedict closed her fists. To help celebrate Maria Montessori’s birthday we made cup cakes and decorated them with the children. Children took turns to crack eggs and and hold the beater and mix the batter. In preparation for Fathers Day everyone decorated a tie for their father’s to wear using coloured tape and learning how to use scissors to cut tape, children were encouraged to make geometric patterns with the tape. They were very excited about showing their fathers and grandparents around the classroom.